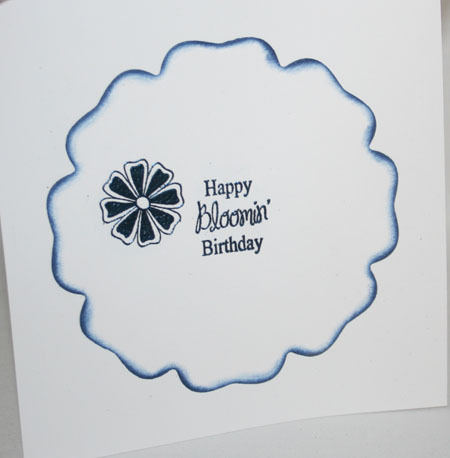 Here is another card using my new Blossoms stamp set. You can order the stamp set now and pre-order the dies that should be in very soon. My first goal was to make a lattice card, but it turned out a bit different. I started cutting out the largest blossom, then using 1/4 strips and making a star with the strips in the middle to make a lattice. 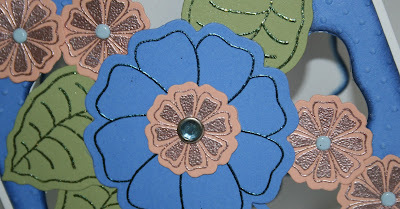 Then I embossed the flowers and leaves with various embossing powders and cut them out and layered them on the lattice. Here is a close up...I dry embossed the outer piece and sponged the edges. 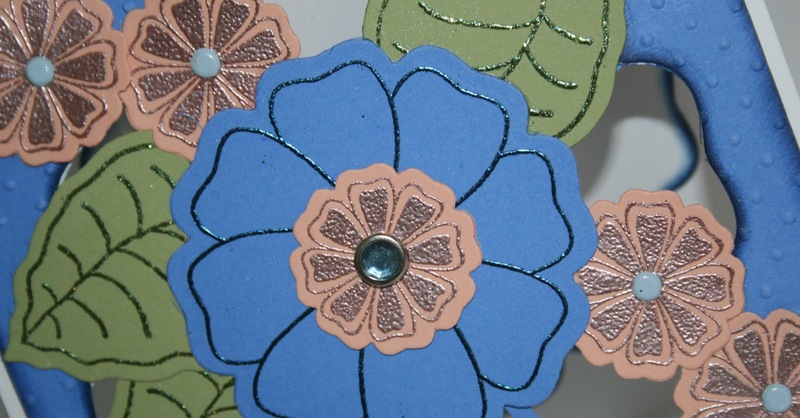 For the flower center and to attach them I used brads. For the inside I cut out the largest blossom again and sponged the edges and then embossed the flower and sentiment. Take some time to stamp some happiness today! !